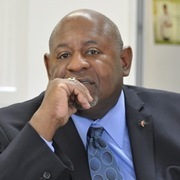 Mr. Turnage is a Retired Principal of the Baltimore City Public School System. His expertise centered in the area of the Juvenile System for Dysfunctional teens. His many years of strong mentoring and advising youth always paid off when he met them years later and discovered they had matured and become accomplished adults. As a former Director and Vice President at The National Association for the Advancement of Colored People, Mr. Turnage was an advocate for Civil Rights and attended many rallies and events to implement social justice. He and his wife, Pastor Patricia A. Turnage, are the proud parents of three children -- Annazette, William, and Benjamin -- and three grandchildren -- Dewayne, Amani, and Liam.